CONTRASTS These tall lampshades give softness to a space which contrasts to the ‘roughness’ of their making. 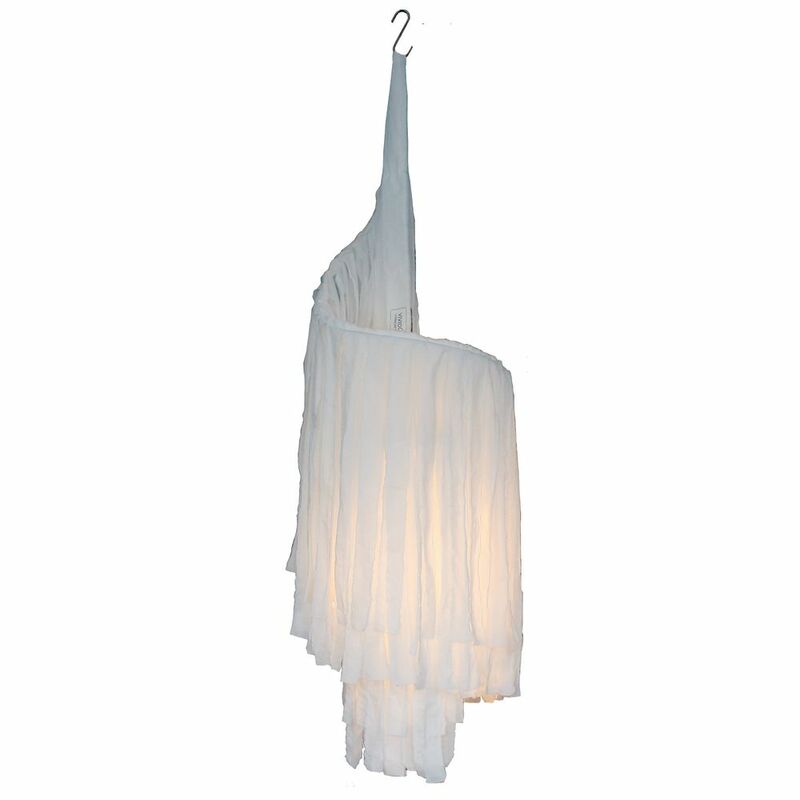 The volume of torn strips of thin cotton gently filters the light. ORGANIC Fine cotton batiste sourced from a certified supplier of organic textiles is used for these pieces. They are entirely handmade in the VIVIDGREY workshop in Vienna and finished with screen printed details. LIGHTWEIGHT The lampshade requires a ceiling hook for installation and works with an existing pendant light fitting with a minimum drop of 1,10 meter.